The Oculus Rift was probably the most eagerly awaited piece of new tech hardware of 2016, beating out even smartwatches and fitness trackers when it comes to coveted wearables. Nowadays, it is incredibly common. The number of people buying an Oculus Rift is constantly growing and businessmen like Louis Hernandez Jr say that this will not change in the future. 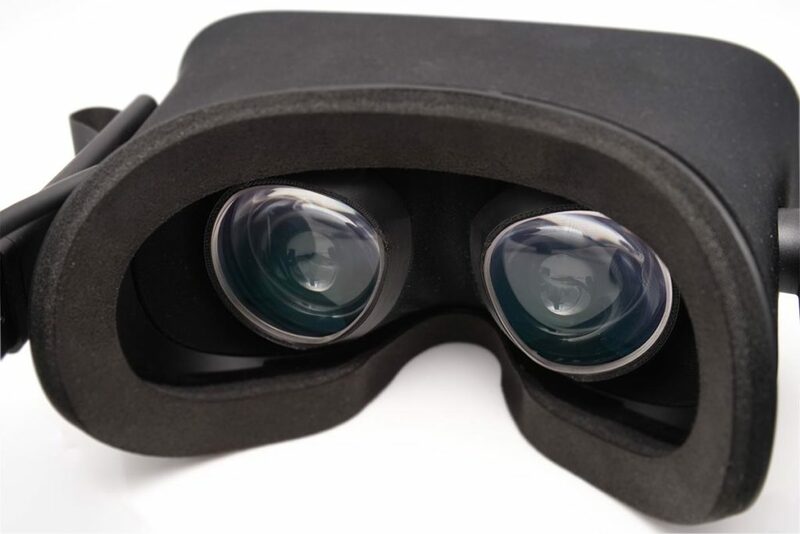 If you have finally got your hands on one, you are no doubt itching to get it up and running so you can immerse yourself in the virtual worlds software for the Rift makes available. Here is a step by step guide to setting up an Oculus Rift on your PC out of the box. The Oculus Rift is, from a hardware point of view, presented in the simplest possible way when you open the box. There is just one sensor, the headset itself, a ‘simple input device’ (which is a kind of very basic remote), and a standard Xbox One controller. The various cables you need are stashed away underneath the more interesting pieces inside the box. Clear a decent sized space on your desk or table to set up your Rift on. It is worth noting that the remote and Xbox One controller will not be tracked visibly on your display, so you need to be able to find them easily when you have the headset on and can’t actually see them! Now, on your Windows PC, head over to the Oculus site to download the setup software. This will guide you through the process of plugging everything in, by plugging in the HDMI cable from the Rift to your computer’s GPU, the sensor and the headset into USB 3.0 ports, and then the receiver for the Xbox One controller into any other available USB slot. This will leave you with everything properly connected and ready to run. Some people find the process of setting up the sensor a little strange, because it will ask you how tall you are. While this makes sense if you are standing up, a lot of people expect to be spending a lot of their time playing on the Rift sitting down. Don’t worry, however, and set your Rift up standing as instructed – it normally will be able to detect when you are seated, and if it doesn’t, you can recalibrate quickly and easily at any time. As long as there is nothing blocking the sensor, you can calibrate it quickly and easily and should find it is quite forgiving about your position. Now you just need to get the fit right on your headset to get the best possible view. The setup tool uses a calibration mode with a green crosshair to help you do this, but you’ll also want to adjust the straps on the device to make sure it fits snugly. Once you have followed all these steps, you are basically ready to start installing games, and playing VR games on your new favourite toy! Poker has a special place among casino games since it is considered to be the best card game ever invented. Even people who do not play this specific card game, or any casino games, are familiar with it – this proves just how popular the poker is. The reason for this is probably because poker is played globally and manages to transcend barriers, bringing together people from all backgrounds. The game is considered to be a hobby, a career and even a way of life, and this makes it even more appealing to wider audiences. One of the reasons poker boasts of seemingly undying popularity is its rather open-ended nature, that is, the game involves the use of a standard deck of cards and poker players are allowed to come up with as many variations of the standard poker game as they may want. Texas Hold’em, which is arguably the most popular variation of online poker, is lauded by many experts and professional players for being the undisputed king of the game since it is loved by millions and is featured in tons of sites and poker tournaments all over the world. Texas Hold’em and several of its sub-variations including No Limit, Pot Limit and Limit Texas Hold’em are also famous among families and friends. Also, the fact that the game is fast and easy to learn helps a lot. 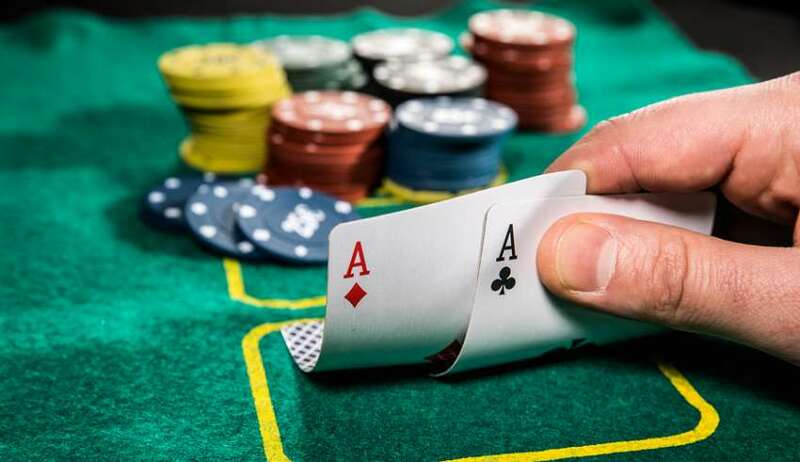 However, people may eventually get tired of playing nothing but Texas Hold’em or any of the traditional poker variants, especially once they have mastered everything about them. Fortunately, it is 2018 and there are a number of outstanding new variations of poker that players can indulge in either online or offline. So, are you looking to explore the fringes of the poker space? Here are a few of the latest and best legal online poker sites you can find. Unfold Hold’em is PokerStars’ variation of the renowned Texas Hold’em that involves an additional side pot that is contested by players who fold pre-flop. In other words, the game allows players to retrieve their mucked cards once a flop is dealt and enter a side pot with the other players. PokerStars offers the games as a cash game format, giving players the chance to win with every hand, even if they are not dealt with any good cards. In poker, one of the most excruciating things is having to fold cards that have flopped the nuts. Unfold Hold’em gets rid of this. The rules and gameplay are also quite simple so players should have no trouble getting started. The game is offered from $0.03/$0.06 with the Unfold Ante at $0.02 to a maximum limit of $1/$2 with the Unfold Ante at $0.60. Unfortunately, the buy-ins are fixed and thus players will not be able to choose their own buy-ins but the ones that are offered will be more than sufficient for most players – they range from 60 big blinds at lower stakes to 80 big blinds at higher stakes. As odd sounding as this game may be, it is actually a variant of poker that has gone viral on the internet. Badugi is, in essence, a variation of lowball poker, and involves the utilization of suit in the determination of how the game develops. The objective of the game is to make the best possible low four hand – pairs and similar suits do not count in the player’s favor though. Experienced players will enjoy this game since it allows them to take advantage of the three draws to beat players of somewhat lesser experience in exploiting their poker hands. This game is community-based just like the popular Texas Hold’em games. However, unlike Texas Hold’em, this one begins with players being dealt three cards instead of the usual two. The objective of Pineapple Poker is to increase the chances of made hands betting against each other and this frantically ups both the ante and the poker action. Also, the final win for the winning hand is much higher in this game. 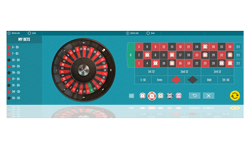 Razz is totally different from your typical Hold’em or Omaha game and is gaining popularity fast. The game does not involve the community cards, and everyone plays their own hands. As such, Razz bares a lot more similarity to seven-card stud except for the fact that the winner is the player with the lowest hand. So, when playing Razz, the players’ objectives is to avoid pairs and instead try to catch the lowest possible cards. If you are looking for something new, exciting and different, this is definitely the game for you. 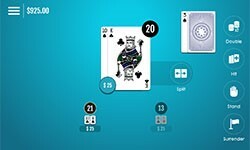 This one is very similar to Seven Card No Peek poker and is played with face-down cards. The main difference is that all of the players’ hands are exposed one card at a time making it even more fun, intense and exciting. To spice it up, the nines and the threes are wild and whenever the four card is exposed, the players are allowed to buy an extra card. If you are looking for even more excitement, try the nine-card version of Midnight Baseball. Sounds fun right right?! This is a community card poker variant that can be played by 2 to 9 players – if the cards are being ‘burned’ only a maximum of 8 players can play. It involves the uses of a normal 52-card deck without the jokers and poker chips or any other simple bookkeeping equipment. Also required is basic poker knowledge. However, it differs from other variants since it involves narrowing of choices (3 times) and sudden surprises. Players can also bluff by playing cards and there are high hands more often. You might be thinking now – what qualities? And if you’re successful, aren’t you already a winner? Or if you’re a winner, aren’t you already successful? Well, you can be right, but at the same time it might not be exactly the truth. The thing is that being a winner is a temporary thing while being successful means that you are capable of doing the winning thing over and over again. Not just once or twice. Buying powerball tickets online and winning constantly there might be a bit problematic (although not completely impossible, if you’re lucky), but when it comes to playing poker, or trading in financial markets it is actually possible. If you’ve ever played poker, or traded in financial markets (be it stocks, forex, or anything else), you already know the feeling what a bad loss gives you. Often enough it makes you start doing stupid things. Things that you know are wrong, but you still do it because you don’t care anymore. And that’s when you start losing. The initial loss that caused all this behavior is nothing compared to what’s about to happen now. Stop. If you lose, in whichever way, whatever the amount, there are only two smart things you can do here – 1) take a break and/or 2) analyze what you did wrong, if you did something wrong at all. Sometimes it can just be bad luck. And it happens. And in order to become successful you need to overcome the failures, you just need to brush it off. The moment you start to get angry about the failures, whether you’re to blame or not, things start to go worse. So be a good loser, don’t take the losses too seriously. Being a good loser is related to discipline. Discipline not to start doing the wrong things while you know it’s wrong. But there’s more to discipline – both fear and greed can influence your discipline. You might know what you should do, you might know what can happen next, but fear of doing the right thing, greed of not winning enough as fast as you’d want to, might make you want to do something you shouldn’t. You might know everything you need to know about poker or trading, but if you don’t stick to what you know, if you don’t have the discipline to do it, you’ll be losing in no time. Obviously, in order to win, unless you’re playing a lottery, you need to have the skills as well. This is again part of being disciplined enough. 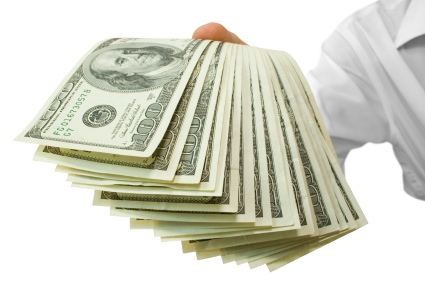 Every poker player, and every trader or investor would tell you that you should never use money that you couldn’t lose. If you do use that money, it hurts your discipline. 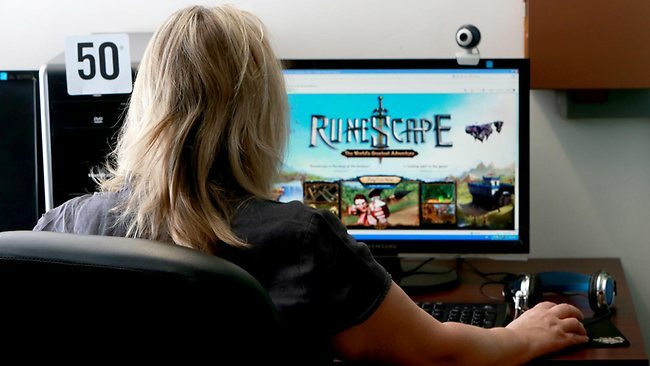 In this article, we will present you with 5 things which are worth doing in Runescape and 5 things you should steer clear from. Some are constantly mentioned but do not get enough attention while others could be new to you and help broaden horizons in Runescape. Enjoy! Read guides – guides are arguably the best way to absorb knowledge about aspects of the game. Whether it is about reaching 99 herblore or finishing up a quest, you can probably find it online, on a Wikia while others are made into videos and made available for watching on YouTube. Carry out quests – quests might seem underwhelming and probably boring along with not giving out handy rewards. This is not true since quests show you a very different game than you are usually playing. Plus, you get XP rewards. Win-win! 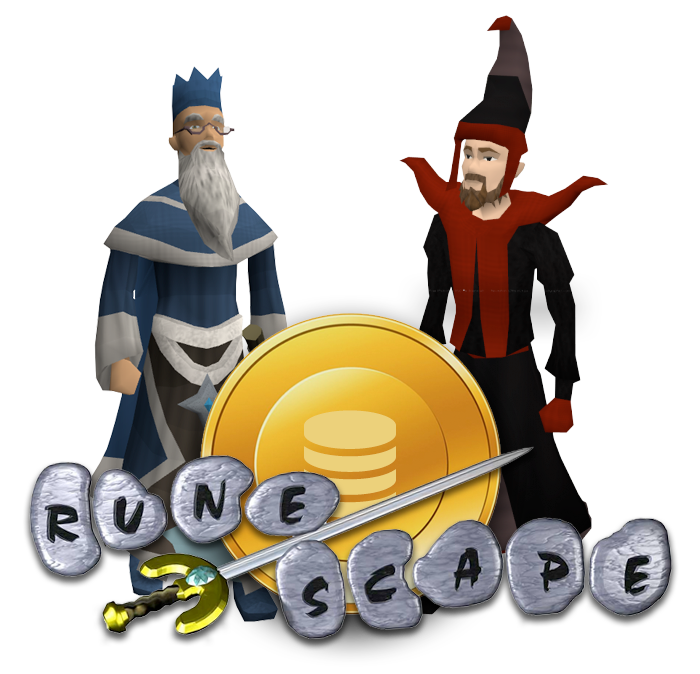 Buy gold – this is arguably the easiest way to enjoy Runescape to its fullest. Online, you can buy cheap RS3 or OSRS gold from a lot of places. Probemas is one of these selling sites. Excellent reputation, numerous satisfied customers make sure that cheap RS3 or Old School gold is not going to disappoint. Duel and PK – whether with friends or randoms, duelling in Duel Arena or PK’ing in Wildy sure is fun. This is arguably the most adrenaline-packed activity since you have to adapt and make split-second decisions because other players are also humans and try to outmanoeuvre you. This helps with your game-sense along with creating beautiful memories. Boss fights – they test your might and preparedness. You can study their patterns and see how others defeated them online while also getting awesome loot after killing them. Sharing your account info – this never works out, never. Even if you share it with a family member or a close friend, your account can get stolen. Besides, no other third-party service needs to know your password to supply you with goods or services. So stay away from that, keep your passwords safe and don’t fall into situations like these. Macro’s and bots – we all know how long and tedious it can sometimes get. However, the trials and tribulations of Runescape are what make it so unique and different from other games. Macro clients might seem like an easy way out, but in the long-run, you are just risking to get banned. You probably spent many hours playing by yourself; it would be a total shame to see it all go away. Wildy in low-levels – the Wilderness is the most rogue and dangerous place in the Runescape universe. Lures and hard-fought battles are always taking place while your low-level account could pose as an easy practice target for others. If you can, stay away from the Wilderness until you are strong enough to hold your ground and if you’re aching to duel, go to the Sand Casino in Al-Kharid. It’s safer and more controlled. Scam other players – NEVER! As mentioned in the previous point, scamming could result in both the scammed and even your account banned. That is far from the worst case scenario which could lead you to legal trouble. Even though opportunities might seem hard to miss out, try to reach success on your own and do not rely on someone else’s credit. Ignore RS3 or OSRS – some players do play only one version of the game. That’s their win and loss at the same time. While RS3 and OSRS are fundamentally a bit different, you can have a lot of fun within RS if you choose to play both versions. 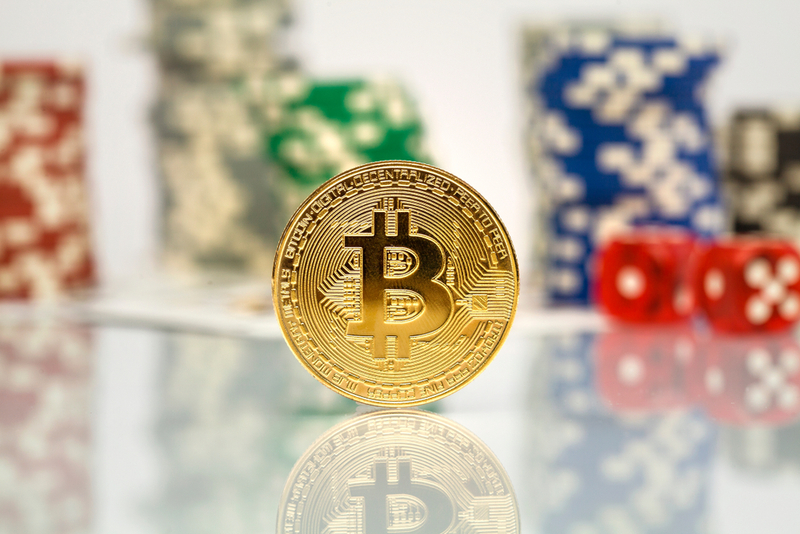 Much talk has been on bitcoin recently and how it could affect online gambling business. Bitcoin is basically an online payment system that enables users to do their online transactions using an e-currency called bitcoin. 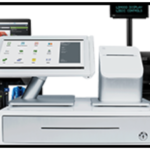 This bitcoin is clearly different from online payment methods like Mastercard and others which operates with a third party. Bitcoin, however, works without any intermediary. Another distinction is that this currency is not regulated by any central authority; this is why it is gaining so much popularity recently because of its ease of use and no law is guiding its usage. Bitcoin has taken online payment by storm especially in the gambling industry. Although it is gaining ground, people still hold their reserve from totally trusting it as there is no regulation on its usage even in the gambling industry like casinos. Bitcoin currency is a virtual currency as it is held within a wallet (e-wallet), therefore it exists only in a complex code. The advantage of this bitcoin is that you can have as many bitcoin email address as you desire and this e-wallet can be saved with a reputable website or your PC. The online casino industry embraces new technology very quickly and has started accepting cryptocurrency in the form of bitcoin currency. But the question still remains if bitcoin will be the future of online casino. So to answer this question in a simple way, let us take a look at the following salient points. 1. In gambling, debit or credit card withdrawals take a maximum of 4 days before they are shown in your account, but bitcoin confirms the transaction in less than 20 minutes. Bitcoin is also not restricted and there is no withdrawal limit and you can withdraw more than $5,000 when you use the VIP status. 2. Another feature of this currency is the transaction fee from other credit cards that cost nothing less than 3 to 5% of the transaction, unlike bitcoins that have a meagre transaction fee of 0.0005BTC. This is the reason why this currency is becoming the desired currency of casinos. Talk about the safety of your currency, it was on a rare occasion that Bitcoin wallet has been able to be hacked even though cybercrime is on the rise. It is not easy to hack because each transaction is protected by technology that safeguards each user’s personal details. 3. What will a player enjoy better if not a tax-free transaction? This is what bitcoin simply offers. If you win big, you go home with all your earnings without paying a dime. Because of safe transactions and anonymous nature of every user, no dime is paid on tax. 4. Also, since the government has no control over this currency and it is decentralized, this e-currency has the potential to have a bigger base of customers. For example, the Unlawful Internet Gambling Enforcement Act compels U.S banks from processing credit card payments from gambling. But since bitcoin gambling has no government influence, it has made transactions easier and people love it more than other credits cards. 5. Lastly, other cards can lose value occasionally through government current policies. This can lead to hyperinflation and collapse that can make someone lose all their savings, but this is different in bitcoin. Although Bitcoin has been touted as the next big thing to shape the future of online casino gambling, it also has its flaws. 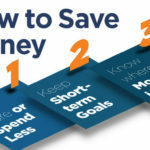 The biggest threat to you from this e-currency is ignorance before you delve in. During the summer months, it can be easy to become bored while at home. It’s too hot to go outside, only reality shows or reruns can be found on television, so what do you do? Online casino games can be a great way to defeat boredom, while at home or even on the go! If you find yourself bored with nothing to do, simply log on to a top-rated online casino to play one of the exclusive gaming categories found below. One of the most popular casino gaming options available today is slot machines. Slots are offered in droves at online casinos, providing players with classic 3-reel and 5-reel options, progressive jackpot slot games, video slots and more. You can spend hours playing online slot games day in and day out and still have something new to experience. If you are a fan of poker, this option is great for online game play. 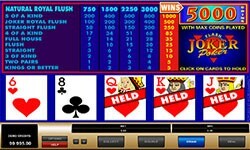 The video poker category of an online casino can include several poker variants, such as Jacks or Better, Caribbean Poker, Deuces Wild, Tens or Better and so many more. With video poker, you choose your stake and place your bet, then watch as the cards are dealt. Make decisions based on the game you choose and watch as hopefully, the wins start rolling in with a winning hand! Another popular favorite among online casino visitors is blackjack. This game also comes in several formats, so players can easily choose a variant that meets their betting style. Multi-hand blackjack is a nice choice if you want to place side bets, while classic blackjack is best for beginner players. Players can turn the house edge in their favor by following basic strategies! Get your adrenaline pumping by choosing to play roulette when boredom sets in while at home. Roulette comes in many forms as well, including American, European, French and more. Choose your variant, pick your bet limit and type, and watch as the wheel spins and the ball drops. Hopefully, you choose correctly, and you will earn a nice payday. These are just a few examples of games that can help you defeat boredom. Log online today to a top-rated and trustworthy casino to see just what you can find that meets your gaming needs. 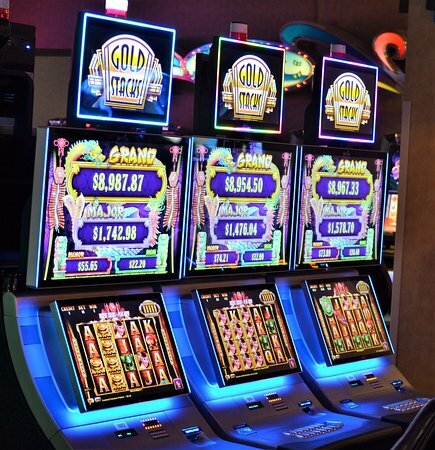 The introduction of slot games can be traced back to the late 19th century, between 1887 and 1895, Augustus Fey was viewed as the inventor of the first slot machine called Liberty Bell. In 1891, a New York-based company, Sittman and Pitt, was the first to manufacture the slot machine, which later, people could encounter them in many bars. As the time passed, slot games saw an increasing trend in their following and their audience continued to grow, especially during the last decade because they are much easier to access with the development of the Internet and technology. Back in the 70’s slots were not such a big deal, because of the increasing popularity of arcade games. The late 70’s and 80’s were the Golden Age of arcade video games. Of course, the slots developers didn’t go unnoticed. In order to face the video game development, in 1976 the first video slot machine was produced. The following milestone of the slot was in 1996 with the release of “Reel ‘Em” video slot. During and after that time, slots became increasingly popular at the casinos. Admiral Casino takes part in the popularity of the slots because they are always new and updated. One of the results of this blast of popularity is the graphic concept of the game; because of this the gaming industry invests heavily in terms of innovation, design and features. So many games out there are hard to analyse all of them. The design is different in each of them, and the theme is never the same, same with the mechanics and maybe algorithms, depending on the mathematician that works for the game. 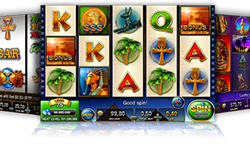 For example, let’s analyse a famous slot game, called the Book of Ra. The Book of Ra takes us on a journey towards Ancient Egypt, following the explorer, looking for hidden treasures and so on. You can see the text font is similar to hieroglyphs; the main character is an explorer, a Sphinx and a Sarcophagus. That is what regular people see. The game is made on a well-known 5×5 reel. The mechanics are pretty much the same as popular fruit slots. Designers make a lot of research when it comes in designing a slot game. A team brainstorms for ideas that are usually anchored to reality. The Book of Ra clearly had a background research on Ancient Egypt. Egypt was well known for its pyramids, sculptures and wall art. The colours that the ancient Egyptians used in their paintings are red, blue, green, gold, black and yellow and if you look closely to the game, it has these mentioned colours. This is one of the clues that research was made for this game. The mask of the sarcophagus is clearly inspired after Tutankhamen. The scarab symbols are everywhere in the game, just like in Ancient Egypt art and jewellery. In Ancient Egypt, the scarabwas the symbol of eternal life and rebirth. Scarab amulets would lend the sacred beetle’s power to the wearer. They give magical protection against the dangers of this world, as well as those of the next ones. In the game is just a well-known Egyptian symbol. On the game reel, you can also see a statue. The statue is actually goddess Isis, with her wings spread. To the Ancient Egyptians, the winged Isis is also a symbol of protection. The Sphinx does not appear on the game interface, but on the top of it there are two Sphinxes facing each other. In Ancient Egypt, the Sphinxes are the guardians of the temples and tombs and usually, they are found at the entrance of the buildings. In the game, the two Sphinxes also give a look of an entrance to another world. The term “Book of Ra” is inspired after a number of Egyptian papyrussheets filled with knowledge. The Egyptians did not only write on the walls of their temples but also on papyrus papers, that were mostly filled with government and religious texts. In the movie industry, the well-known “The Mummy” films are also the conception for the storyline for the Book of Ra. The game goes by the theme of Ancient Egypt. An explorer is the main character. Exploring Egypt and its wonders, the discovery of its symbols and the main quest is finding the Book of Ra. During the gameplay, there is a feel of 2 dimensional (2D) and the special symbols seem to look 3 dimensional (3D). All of this artwork is done, one by one, just like the layers of Adobe Photoshop. After brainstorming ideas, the designer creates a background, an interface of the game, step by step, the symbols, statues and decorations start to have a place in the game. Programmers usually do the mechanics and the animations. The creation of a game is a team effort. 5 Games to Play When You’re Bored! If you enjoy playing casual games, when you’ve got some time up your sleeve to kill, it’s well worth continuing reading in order to discover 5 fun games to play online, when you’re bored. If you’re looking to play an addictive game, UK Slots will help you pass time, when you’re bored and looking for a fun distraction, it’s well worth playing online slots. Better yet, as playing online slots doesn’t require a high level of concentration you’ll be able to play online slots whilst you’re commuting to work, waiting in a long queue or watching a movie. As an added bonus, you’ll also have the opportunity to win a cash prize. If you enjoyed playing bingo as a kid, it’s well worth playing online bingo, when you’re bored. As nothing quite beats the thrill of being the first player to call out bingo. during a close game of bingo. 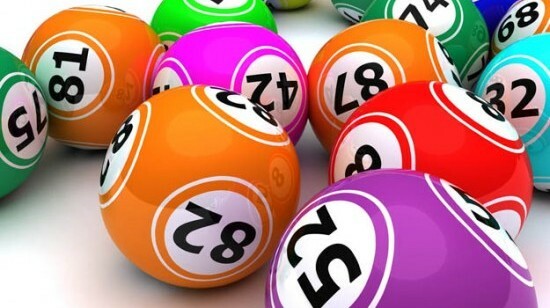 Better yet, playing bingo online is a lot more fun than playing traditional bingo as many websites offer fun animations and sound effects, which are activated when you place a counter on a number on your card. Some websites even allow you to chat to your competition if you’re interested in making brand new friends when you’re bored. If you enjoy playing trivia style games and love a bit of competition, it’s well worth visiting Fun Trivia, where you’ll be able to compete against thousands of online players, in daily duels. Each day you’ll be able to play between 5-15 daily duels, which are head to head battles, which avoid points for correct answers and speedy answers. As the topics on offer, change every day, you’ll be able to learn facts about a wide array of topics. Examples of which include geography, famous actors, health and myths, and legends. Better yet, the more quizzes which you complete, the more badges which you’ll win, to showcase on your player profile! Whether you grew up playing The Sims and creating virtual sim doppelgangers of yourself and your friends and family members or you simply enjoy simulation style games, it’s well worth playing The Sims Mobile. Which will allow you to create a personalized sim, design a home for your sim, select a career path for your sim and help your sim fall in love, get married and start a family. Choices is an online game which involves playing through animated books, which allow you to make a variety of decisions, which will influence the fate of your customizable characters. Better yet Choices offers a wide variety of different genres to explore. Examples of which include horror, mystery, romance, fantasy, and drama. Next time you find yourself bored, waiting for a friend to meet you or commuting to or from work, it’s well worth going online and playing one of the 5 fun games listed above! All of which are addictive and have been designed to keep you entertained for as long as you need. No matter how many incredible and wonderful games you are already playing, it’s never a bad idea to start getting glorified for the next great thing. With that in mind, a list has been drawn up where you’ll find some of the best upcoming games this summer, from the passion projects to the big blockbusters. Get ready to browse the list and see which games are most likely to suit your taste! After having torn the Greek pantheon in pieces, Kratos, the main character of the game, has set his sights on a new myth to defeat: Norse. 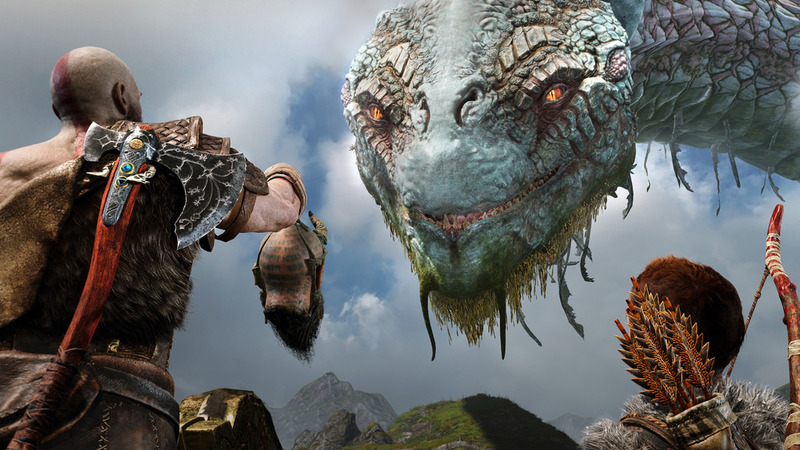 The 4th key entry in the legendarily vicious PlayStation series – God of War – drops the looks like it’ll influence Kratos to restrict his infinite rage. That’s because he raises his young son namely Atreus, to become a tough fighter! Don’t worry, along the way, you’ll still slay a plethora of fantastical creatures by using Kratos’ new lightning axe main weapon! The question is: ‘who doesn’t love pirates?’ The fabulous hats, the rum, the loot, the swashbuckling – majority of you have at some point wished to leave the world all behind and run away to sea. Well, the time has come on Sea of Thieves, to live out that dream. What’s good is that you can bring friends along for the ride. The game is Rare’s newest, with first-person pirating (the family-friendly kind) full of supportive crewmates co-operating in the hunt of treasure! You can even try to rule the seas by fighting (and preferably sinking) other players’ boats! NetEnt is for the first time coming up with a 100 bet lines game. Yes, you have guessed it right – this is a slot game which consists of a fantasy-theme! This slot machine comes packed with a massive 6 reels, and a massive 100 paylines! Archangels can be found in plenty of places in media nowadays, across movies, tv and more. As soon as you start the game, you are instantly drawn to the angel and the demon. However, there is only one archangel who will get into the spotlight. She faces a complicate task to bring salvation as the demons block her way! If you want to play the game completely in 3D, visit site – Robin Hood Bingo! This top-notch and well-designed slot game will be launched at the best bingo site, upon its release. If the Walking Dead has trained you anything, it’s about building up a community and forging bonds between survivors is crucial to surviving the zombie apocalypse. State of Decay 2 game takes those standards to sympathy with co-op for up to 4 players. Of course, it depends on whether you all agree to work together rather than backstabbing one another for valuable supplies. To build up your personalised camp, you’ll have to hunt on foot or four wheels, splashing the skulls of innumerable undead along the way. Make sure you do it the right way, otherwise the consequences are bad! If you are a proud owner of PS4, Xbox One, PC, Smartphone or Tablet, then the summer of 2018 looks promising for you. These games are amongst the best you’ll ever play in your life. With 3D graphics and top-notch animations, you will be taken to a completely different world!